Only recently has obesity become an epidemic with serious health and financial costs. While the causes of obesity are well known, what is not known is how to help people treat weight loss over long periods of time. There are current obesity clinical trials that are looking at temporary items that can be swallowed to make less room in the stomach for food. There are also many drugs and combination of drugs being studied, but none yet have been approved for treating obesity by the FDA. Obesity is an important ailment to study and understand. There are new obesity clinical trials being conducted all of the time to help find safe ways to deal with this issue. What is Obesity / Weight Loss? 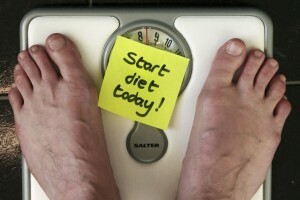 Obesity is defined as having an excess of body fat that can cause other health problems and a shorter life expectancy. Long term obesity can lead to heart disease, diabetes, breathing problems, and cancer. Obesity is the leading preventable cause of death today and is considered one of the most serious public health problems of our time. Since the 1970s the availability of cheap food in large portions is believed to have contributed to a sharp rise in obesity. The first defense in treating obesity is counseling on diet and exercise. Eating foods lower in fat and sugar, eating more fiber and getting more exercise can combat obesity. Many people who suffer from obesity have a hard time maintaining weight once they lose it. They might then be prescribed anti-obesity drugs as a weight loss treatment to reduce fat absorption. In cases where diet, exercise and medications fail, bariatric surgeries may be performed. These surgeries are expensive and carry a high risk of complications. Surgeries either treat obesity by physically shrinking the stomach so less food can be taken in, or removing parts of the bowel so less fats are absorbed.